Generally speaking, newer and fast-growing companies don’t pay dividends . The reason is simple — many companies feel that the best use of their profits is to reinvest in the business and fuel further growth. On the other hand, once companies have matured to the point where they don’t need to spend all of the money they generate on growing the business, there are two main ways to return capital to shareholders — dividends or share buybacks . There’s some debate among investors regarding which is better, and many dividend stocks employ a combination of the two. For example, dividend consistency and growth are two things that are significantly more important for long-term investors than the stock’s current yield. Johnson & Johnson’s 2.6% dividend yield isn’t exactly the highest you’ll find, but consider that the company is not only a remarkably consistent dividend payer but has increased its dividend for 54 consecutive years . If you’re investing for the long run, it’s important to reinvest your dividends to maximize your returns . 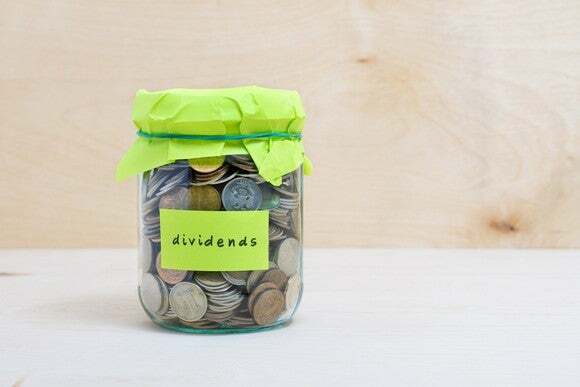 You can do this by enrolling in your broker’s dividend reinvestment plan , or DRIP, which will automatically use the dividends you receive to purchase additional shares. Most dividend stocks pay “qualified” dividends , which receive special tax treatment. Depending on your tax bracket, qualified dividends are taxed at a rate of 0% to 20%, significantly lower than the ordinary income tax rates of 10% to 39.6%. In addition, high-earners pay a 3.8% tax on certain investment income, on top of their applicable tax rate. While most dividends qualify for the lower rates , some dividends are classified as “ordinary” dividends and are taxed as ordinary income. Real estate investment trusts, or REITs, are a good example of stocks whose dividends are generally considered ordinary income. Of course, this doesn’t apply if your dividend stocks are held in a tax-advantaged retirement account such as an IRA . As a final thought, if you’re new to investing , the best way to get started in dividend investing could be with an ETF that specializes in dividend stocks. As one example, the Vanguard High Dividend Yield ETF invests in an index of stocks with above-average dividend yields and charges investors an extremely low 0.09% expense ratio. This is just one example , but the point is that if you’d like to get started with dividend investing, but feel like you have more to learn before you’ll be comfortable with researching and investing in individual stocks, the index-fund approach could be a smart way to get the benefits of dividend investing safely, while you’re still learning the basics. Once you feel comfortable evaluating dividend stocks , you’re ready to start doing some research. Here are a few examples of solid dividend stocks from our contributors to help get you started — in addition to the stocks themselves, the important thing to notice is the reasoning behind each recommendation. Matthew Frankel owns shares of Bank of America. The Motley Fool owns shares of and recommends Johnson & Johnson. The Motley Fool has a disclosure policy .